The JCC offers a variety of opportunities for Teens to come together to socialize, learn, participate in recreational programs including basketball, tennis, swimming, and more - all in a safe and fun environment that they can call their own! For more information, contact Elie Allen at 210-302-6869. The JCC's Youth Lounge, equipped specifically with teens in mind, is your place to hang with other teens away from parents and younger siblings. 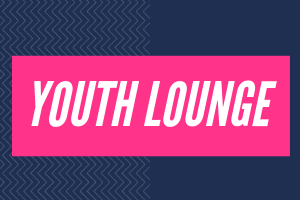 Located on the Upper Level of the J, the Youth Lounge is open M-F from 3:30-6pm. Available activities include Foosball and Ping Pong tables, a Wii console, two X-Boxes, a computer lab, and four flat screen TVs. There is also ample space to work on homework and hang out with your JCC friends. BBYO offers Jewish high school students the opportunity to build leadership skills, develop social connections, and camaraderie. There are local chapters for both high school boys and girls. The JCC Maccabi Games® is open to Jewish teens ages 13-16 as of July 31 during the Games year. Participants take part in a week-long experience, during which they have the opportunity to meet other Jewish teens from around the country and world. J-Serve provides teens Jewish teens in grades 7 through 12 the opportunity to fulfill the Jewish values of gemilut chasidim - acts of loving kindness, tzedakah - just and charitable giving, and tikkun olam - the responsibility to repair the world. Across the globe, teens will join each other to make their community and the world a better place. Since 2005, J-Serve has been a part of Youth Service America's Global Youth Service Day weekend. More than 13,000 Jewish teens are expected to participate in J-Serve worldwide. If you're interested in earning community service hours, J-Serve is for you! Join us for out next J-Serve event! If you are in grades 5 through 12 and you have a flair for the dramatic, love to be center stage, or yearn for the lights of Broadway, the JCC's STARZ Youth Performance Troupe is perfect for you! Are you a teen entering grades 9 or 10 in the fall 2019? Want to spend your summer break learning valuable leadership skills that could eventually land you a job as a JCC Summer J-Camp Counselor? If you are interested in becoming a Counselor in Training (CIT), contact Dylan Ashworth at 210-302-6959. Learn more information about becoming a CIT here!